This recipe is like finding gold! Found on the thermomix recipe community, link below. Just like the comments say it was hard to put the icecream into the freezer. Was a little light on the green food colouring, only used two drops instead of four and used 250g of condensed milk instead of 300g. Used a combination of milk and cream too. 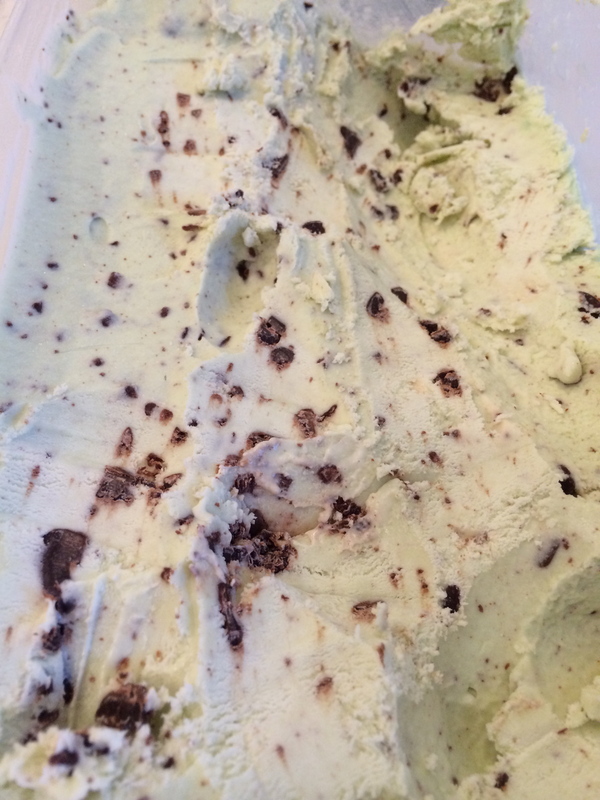 Super duper homemade mint choc icecream for dessert. Post note: don’t chop the chocolate up for 30 sec, take a peek every 10 seconds at speed 7. I once pulverised to a powder in seconds and then the ice cream turns brown when added to cream. A ratio of 400 g cream 200 g milk definately tastes better than 600 gm cream.